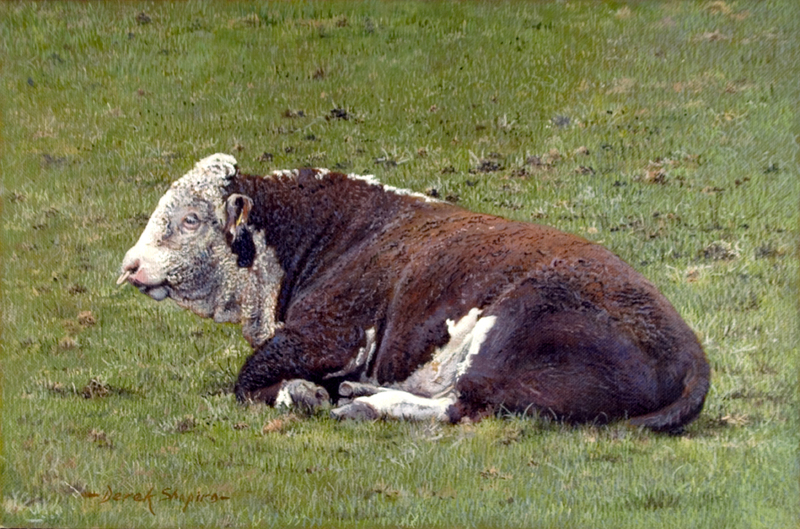 This is my latest animal painting of a pollard Hereford Bull. Hereford cattle, especially bulls make great paintings. I saw this magnificent beast relaxing in a field whilst out walking in Cumbria and immediately thought it would make for a great painting. I like the result and hope that you do to.